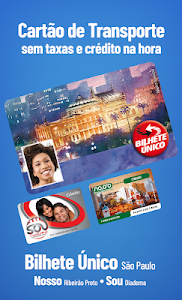 ?POR QUE USAR O RECARGAPAY? Place credits at any time and at any carrier, with no extra fees and with total security! Buy TIM credit, buy LIVE credit and put LIGHT credit is very easy and fast! Your cell phone recharge with the greatest security is here. A recharge machine! Recharge your card with NO balance fees on time! Putting credits into your Single Ticket made it even easier. 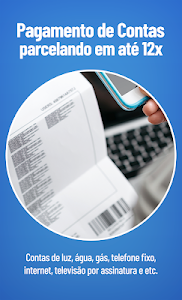 Pay bills simply by using the bar code reader or by entering manually. Need to send money to family or friends, even without a bank account? Pay any service? 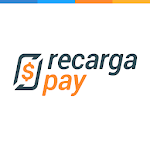 With ReloadPay it is easy and the money is credited on time. Turn your cell phone into a recharge machine (Recharge Claro, Recharge TIM, Recharge OI, Recharge Vivo) and watch your profits soar! Offer our services to your customers and earn commission, without paying a monthly fee. 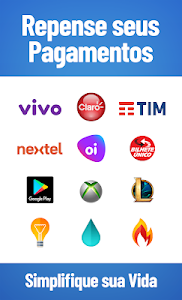 We accept all credit card (Visa, Mastercard, Elo, Hiper, Hipercard, American Express, Cartão Mais, Diners), bank transfer, ticket, deposit in several accredited places (eg Bradesco, Itaú, Banco do Brasil, Caixa, Nubank, Santander and Citibank), as well as Google Pay and Apple Pay. 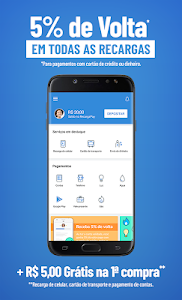 Similar to "Recarga Celular, Bilhete Único e Pagar contas"